Nasirov is being investigated on suspicion of defrauding the state of UAH 2 billion ($70 million). Prime Minister Volodymyr Hroysman said on January 31 that the State Commission for Senior State Service Personnel had approved the government's recommendation that Nasirov be dismissed, according to Radio Liberty. Read alsoTI Ukraine demands to dismiss Nasirov from officeNasirov is being investigated on suspicion of defrauding the state of UAH 2 billion ($70 million). He is one of the highest officials to face prosecution in Ukraine, whose pro-Western government is under pressure from the United States, the European Union, and donor organizations to tackle a deep-seated graft problem. 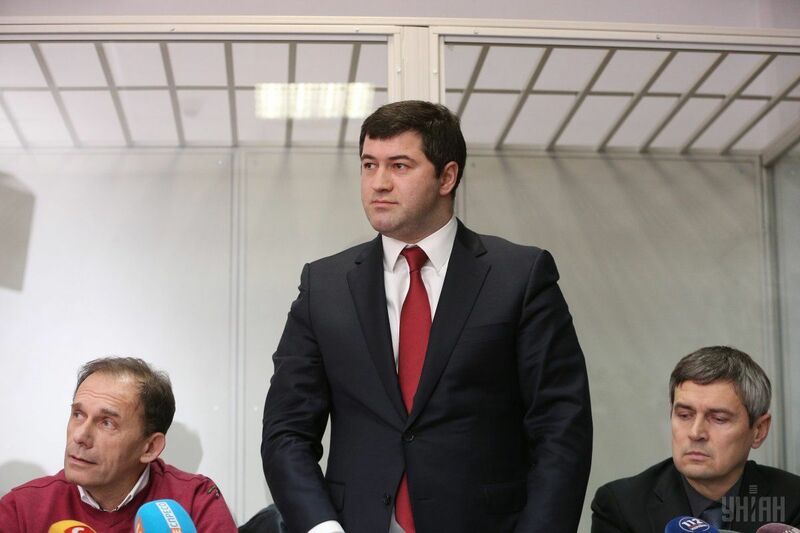 Nasirov was arrested after the National Anti-corruption Bureau accused him of signing off on grace periods for a number of taxpayers, including companies linked to a former lawmaker who fled the country in 2016 while facing a corruption investigation. Shortly after his arrest, he was released on bail but ordered to wear an electronic bracelet and barred from leaving Kyiv without investigators' permission. Western officials say corruption hurts Ukraine's chances of throwing off the influence of Russia, which seized the Crimean Peninsula in 2014 and backs separatists whose war with Kyiv has killed more than 10,300 people in eastern Ukraine.